So, I just finished every season of Parks and Recreation! ( yep, I binged watched the heck out of it! ) Which led me to the discovery that Galentine’s Day was actually coined by the one and only Leslie Knope! Now, I am a big celebrator of Galentine's day ! 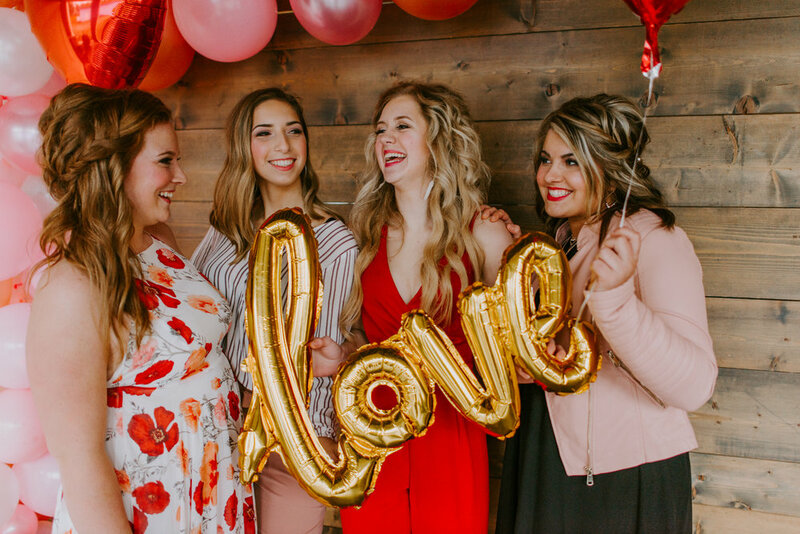 I love the idea of a day set aside to just appreciate your Friendships and not that you people need any push to celebrate this holiday, however if you do I'm going to give you 3 great reasons to celebrate Galentine's day! 1.) Quality time with the besties! The number one reason and most obvious, is the fact that you get to hang out and spend quality time with your awesome friends! Need I say more?! 2.) Boys come and go, but friends are FOREVER. Ok, ok, I know this is not always the truth ( case in point, I found a wonderful, wonderful man and married the heck out of him! ) However, I still see the importance in taking time to appreciate the fact that my friends are amazing and the majority of them were there before I met my hubby! 3.) Treat yo self! Unwinding with my girls is always a treat to me! I mean, wine night, carbs, chocolate, childhood movie watching ( 10 things I hate about you is my JAM ) what more could a girl seriously ask for?! So what are you ladies waiting for, go order a pizza, get some wine and tell your friends how truly spectacular they are! A big thank you to the beautiful ladies who helped bring this shoot together! Kiana with her amazing and insanely talented photography skills! Kenna busting out the makeup and killing it! Sarah, Rylie, Sophia and Hailey, whose friendship made these photos easy to capture!